My name is Maria Steiner (spiritual name Prema), I was born into a yoga family. 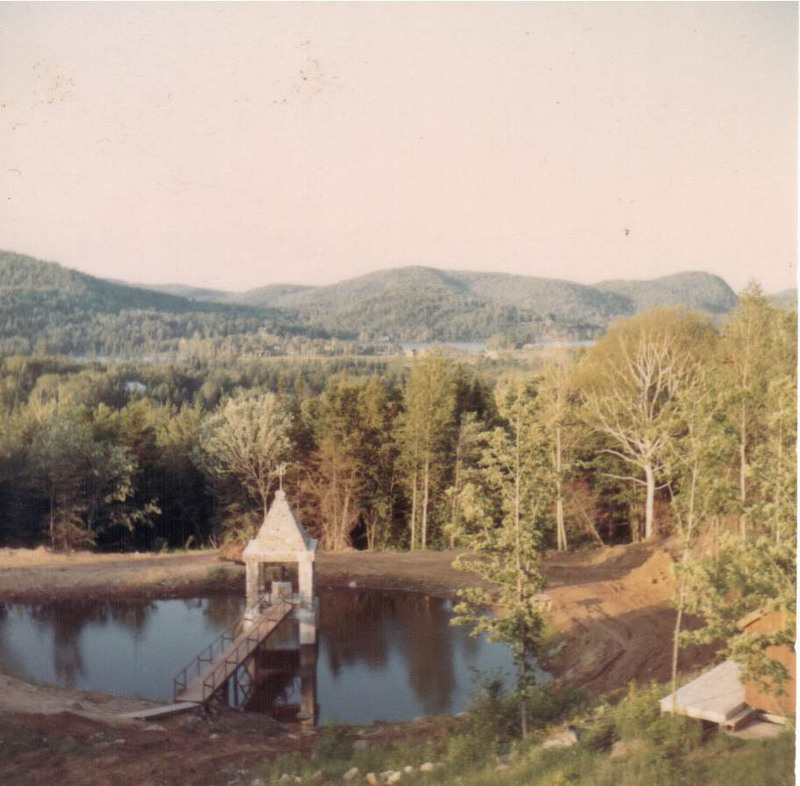 Back then my parents (originally from Switzerland) lived in Montreal, Canada and were students of Swami Vishnu-Devananda at the Sivananda Ashram Yoga Camp in Val Morin, Quebec. 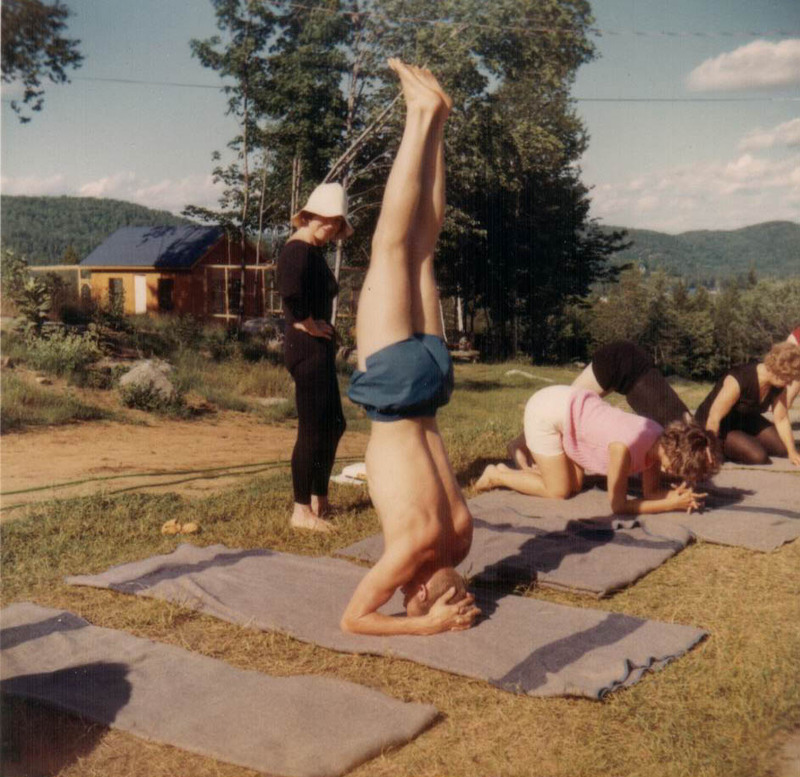 Sivananda Ashram Yoga Camp in Val Morin, Quebec – 1966. My parents at the Yoga Camp. I was raised in Switzerland, where I lived most of my life. In 1990 I moved to Montreal, Canada and soon joined the Sivananda Yoga Vedanta Centre for weekly classes. In 1996 and 1997 I completed the yoga teachers training course in the Bahamas at the Ashram of the international Sivananda Yoga Vedanta Centres. During those years I was also temporary staff at a Sivananda Yoga Ashram and Centre in California, where I was teaching classes and doing lots of karma yoga; living the yogic life together with like-minded people. Since then I continued to go for yoga vacations and retreats around the world, for my own practice (Sadhana) and to improve my teaching. In July 2006 I followed my heart to live with my Australian husband in Ipswich, Queensland. Since October 2006 I teach weekly Hatha Yoga Classes and Meditation in Ipswich, mainly in Booval and Eastern Heights, at local Scout halls. In 2008 I connected with Swami Anasaktananda http://www.sivayogadivine.net , Swamiji gave me the spiritual name Prema (it’s the Sanskrit word for divine love). Some time after that Swamiji said: “Prema, I have a harmonium here, I’ll teach you a simple Raga, if you get it in the next two days I’ll teach you more and you can have the harmonium”. Since then I learned many more Ragas, Hymns and Bhajans, and recently bought a second new harmonium. I am very grateful to have met Swami Anasaktananda and often stay and learn many aspect of Yoga at his small Ashram on the Sunshine Coast, QLD. About once a month I teach Satsang on a Friday evening, where we meditate, sing Kirtan and have a yoga lecture. The next Retreat is in August 2019. At Coolum Beach on the beautiful Sunshine Coast in Queensland, 16. – 18. August 2019. There will be more in the future, please keep checking this website for the class and events info. THANK YOU !! During those years I also reconnected with one of my teachers from the Yoga teachers training Swami Atma http://www.yoga108.org and became an Affiliated teacher of the Advaita Yoga Ashrama. 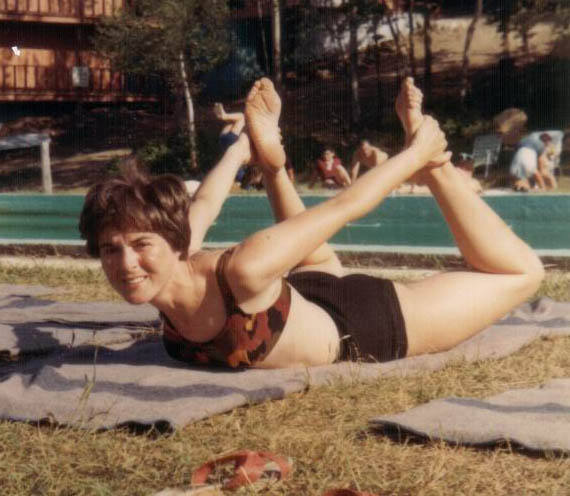 I organised and hosted Yoga Retreats in the beautiful Emmental at a private home from my grandfather. In June 2006, shortly before moving to Australia, I organised another Yoga Vacation in Malaga, Spain. All these Yoga & Meditation Retreats have been taught by Swami Atma. I grow some of my own herbs, vegetables and fruits. I’m dreaming of a nice big organic veggie patch. Coming from Switzerland I do find it very exotic and exciting to grow my own pineapples. Plus it teaches patience, because they take a long time to grow, but the reward is deliciously sweet. This list could go on for many pages. I’ll tell you more things about me and my life in future posts and private conversations. Thank you for visiting my website. Be in touch ……. 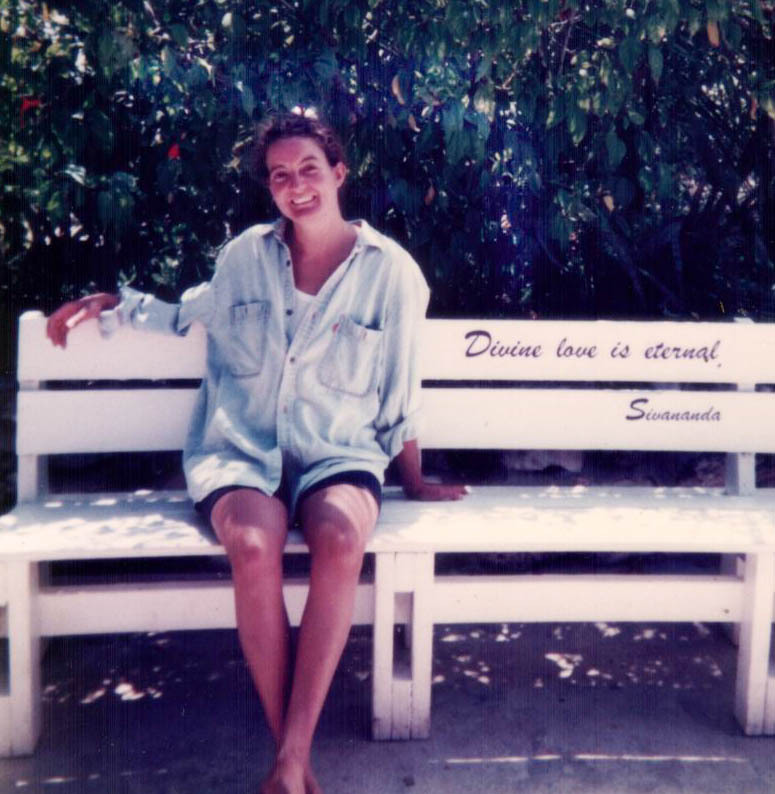 Prema at the Sivananda Yoga Retreat in the Bahamas 1997. 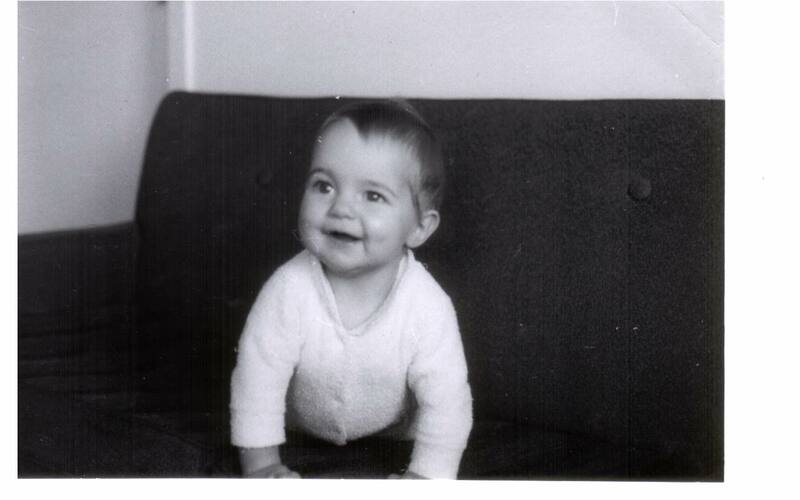 (C) Maria Steiner – All photos on this page are from Maria’s family photo albums.